This fresh and modern space will be a great base for your Hamilton trip, decorated with art and literature from all over the world - why would you stay anywhere else? Four bedrooms, two bathrooms, two living areas, plus dining and a fully equipped kitchen with tea, coffee, sugar and all the facilities you would expect at a motel. Spacious inside and out with a two car garage and two large grassed areas - fully fenced and private in the back. Enjoy undercover rails to hang your washing if it decides to rain as well as a large clothesline for those sunny days. Small back and front patios for a coffee in the sun, or watch your children play on the grass. When inside, stay warm with central gas heating throughout the entire house (excl. bathrooms). Includes a bonus room which can be closed off with a kiddy gate so your children can play with the available toys ... in a parent-free zone. Trundler (roll away) bed and porta-cot included to use. Central to everything you would need. We have a great guidebook in house to help you find everything you need. A huge space for a large family! Sleeps seven adults with a portacot available also. Close to the city, The Base and river walks. Toddler toys in the single bedroom and sports gear in the garage. We have had two people with wheelchairs stay here and they said it was fine for them. Note that the doors are all standard size and there are three steps to get into the main entrance. As expected based on the pictures and details. A comfortable place so I would recommend it. 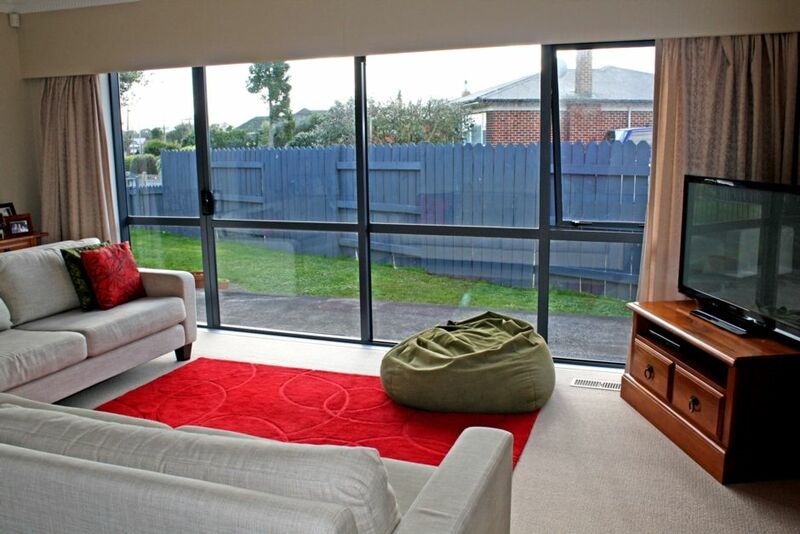 quiet location in Te Rapa. 4 bedrooms, 2 bathrooms, lounge and also a play room. Oodles of space. Comfy beds. Well equipped kitchen. Thanks for your review - it was a pleasure hosting you! Perfect for what we needed. Heaps of room. Warm. Quite street. Central. We are just off the main road of Te Rapa. You will find many cafes, restaurants, gyms, supermarkets and more. Also very close to the CBD.